Virgin Active takes fitness technology to another level, loading its new London flagship club with cutting-edge tracking tools that put members in control of their vital stats. The new system is one of a number of new tech initiatives including swim tracking and a top-of-the-range vitrual spinning studio, that make the gadget-laden club at Aldersgate in East London Virgin Active's most advanced to fitness venue to date. The new MYZONE-powered heart rate tracking system, gives Virgin members the option to purchase their own heart rate chest strap - the kind you see coming with most Polar or Garmin devices. Real-time stats are then displayed on screens around the gym, dishing out detailed performance indicators that tell people whether they're training in the optimum zones across all types equipment. The new tech also paves the way for in-club and nationwide challenges where gym goers can compete against each other for rewards or simple pride. MyZone will also run national and global challenges to inspire you to put more into your workout. Virgin Active members can also create an online profile that provides access to a wide range of more detailed training stats from anywhere via the web. The chest strap also works outdoors, with 15 hours of training memory available to store non-gym workouts that will be instantly uploaded the minute you walk back into your gym. Another tech addition is Swimtag, a new system - very simliar to products like the Speedo Aquacoach - that provides detailed tracking and analysis for those who prefer to do their training in laps and lengths rather than miles or pounds. 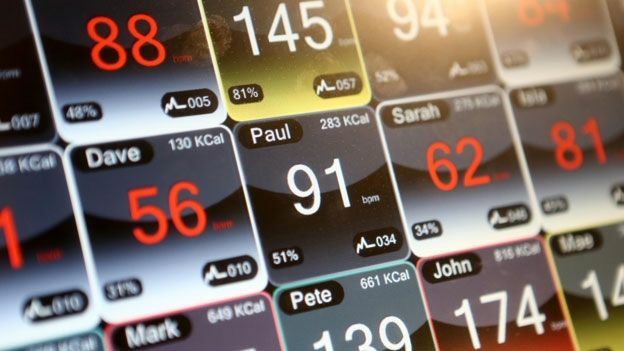 Members loan a wrist strap that connects to their personal online account and provides extremely detailed information like speed, laps, distance and calories burned. Currently the MYZONE and Swimtag information is stored in seperate online accounts but both represent an increasing trend towards the desire to delve into the nuts and bolts of what we're achieving during out workouts. The club also carries a fleet of Wattbike exercise bikes with the most advanced diagnostic information available including detailed visuals that show you how efficient you're pedalling, the same bikes currently being used by Britain's top athletes to train for London 2012. If that's not enough, and you still want more tech at the end of your workout, there's also a concierge-serviced lounge which includes iPads and free Wi-Fi.